SSB recruitment 2017 notification has been released on official website www.ssb.nic.in for the recruitment of total 91 (ninety one) jobs out of which 74 (seventy four) vacancies for General Duty Medical Officer (GDMO), 14 (fourteen) for Specialist vacancies. Walk-in-Interview 27th & 28th December 2017. 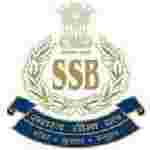 Here on this page you will get the details like the Name of vacancies released by SSB with exact number of posts. Some other criteria like Education details, application fee and way to apply application for SSB recruitment 2017. Educational Qualification: Recognized Medical qualification included in the first or the Second Schedule or Part II of the Third Schedule (other than Licentiale qualification) to the Indian Medical Council Act, 1956 and Post Graduate Degree/Diploma in the concerned Specialty for S.no-1. Recognized Medical qualification included in the First or the Second Schedule or Part II of the Third Schedule (other than Licentiale qualification) to the Indian Medical Council Act, 1956 for S.no – 2. Interested and eligible aspirants may appear for Interview along with in plain paper all relevant original & photocopies of documents at the time of Interview.